Experiences of immigration, migration, exile, and diaspora have a long and rich history in global comics, as we will hear from a variety of presenters at the inaugural CSS conference in August. Recently, the Executive Board has been discussing what, if any, should be our collective and individual responses as comics scholars to the growing and urgent migrant crisis in the US, Europe, Australia, and elsewhere. As these conversations continue, we feel that our first response should be to look to cartoonists and artists who are drawing migrant and asylum seekers’ lives, in all their diversity, and to use this opportunity to begin a series of short bibliographies of essential reading in a range of areas in comics studies. 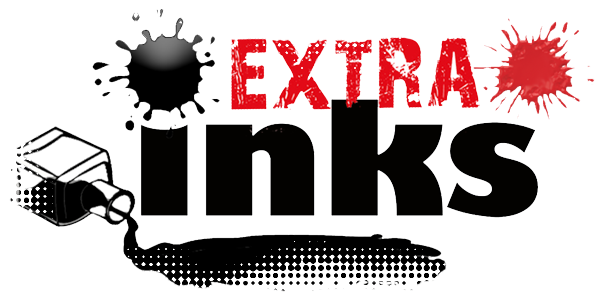 This Spotlight focuses on contemporary print and digital graphic narratives (there isn’t enough room to cover editorial cartooning), in English or translation, produced in roughly the past five years. Generally, these alternative comics artists are working across the genres of testimony and witness, including documentary, auto/biography, and journalism. They are all in different ways about the contemporary global migrant crisis and the firsthand experiences of asylum seekers, people primarily from the global South who are seeking asylum and/or legal refugee status in North America, Western Europe, and Australia. Some of the comics also represent the experiences of living in conflict zones that ultimately force people into leaving, or what life is like after relocation. Reading these comics as a group, key moments emerge in common: the destruction of home; the planning and negotiation of escape; risky and frightening journeys, usually by boat; border stops and controls; the incomprehensibility of bureaucracy in general and language barriers specifically; and, the dual boredom and ingenuity of life in detention camps and prisons. There are often moments of deep trauma, such as family separation, disappearance, and death. But, these comics also find hope in people’s resilience, generosity, solidarity, efforts to build new lives, and creative forms of expression. This Spotlight includes print books as well as digital comics, as websites hosted by NGOs and non-profit organizations are becoming an important, affordable, and accessible mode of disseminating migrant comics globally. Leila Abdelrazaq is a Detroit-based Palestinian artist whose work focuses on the historical and contemporary experiences of the Palestinian diaspora. 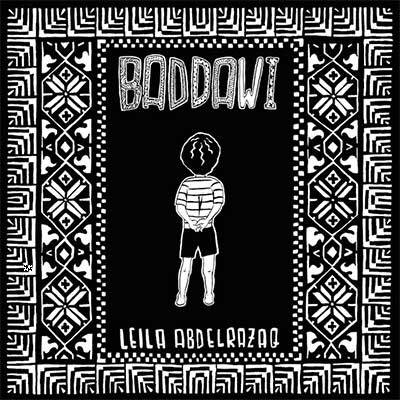 Baddawi (Just World Books, 2015) is based on the artist’s father’s childhood in the 1960s and 70s and told from his point of view, with visual debts to the legendary late Palestinian editorial cartoonist Naji al-Ali (A Child in Palestine, Verso, 2009). Baddawi is the name of a refugee camp in northern Lebanon where thousands of Palestinians fled after the Naqba, the mass exodus of Palestinians following the 1948 war that established the state of Israel. “Mariposa Road” (2016) tells the story of two Palestinian refugees and indicts the U.S. immigration system in the process. The two men, Hisham and Mounis, arrive at the U.S.-Mexico border, where they’re detained by ICE and held in a detention centre in Arizona. The narration and dialogue come from the men’s own words. 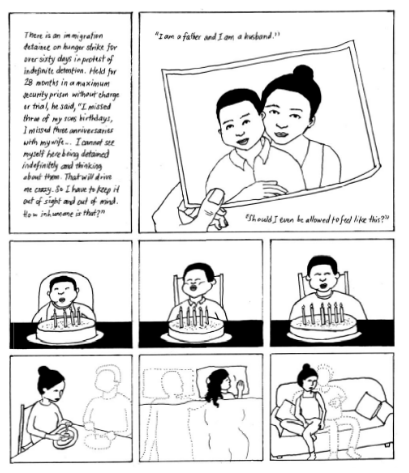 The Opening (Tosh Fesh, 2017) is a short print comic set in the Palestinian community in 1990s Chicago, telling the story of parents’ loss of a child, alongside themes of memory, exile, and return. Thi Bui is a Vietnamese-American cartoonist who arrived in the US in 1978 as part of the “boat wave” exodus of refugees from Southeast Asia. She lives in Berkeley and currently teaches in the MFA in Comics program at the California College of the Arts. 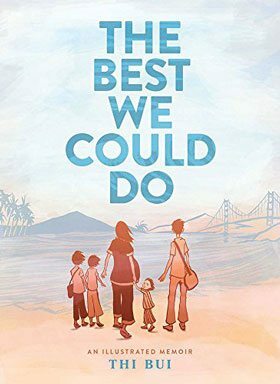 In The Best We Could Do (Abrams, 2017), her bestselling and multiple award-winning graphic memoir, Bui recounts her family’s flight from war-torn Southeast Asia, their time in refugee camps, and eventual arrival as refugees in the US. The story combines historical and political information with individual narratives of family members, and focuses on the connections between women and mothers as a way for the artist to identify and empathize with her mother’s experiences. “Refugee to Detainee: How the U.S. is Deporting Those Seeking a Safe Haven” (2018) combines individual stories with historical, political, and legal information about immigration and deportation laws in the US, and suggests alternative solutions proposed by activist organizations and political leaders. “Precious Time” (2017) shows the individual consequences of global politics, and was commissioned as part of the Illustrated PEN’s State of Emergency feature. 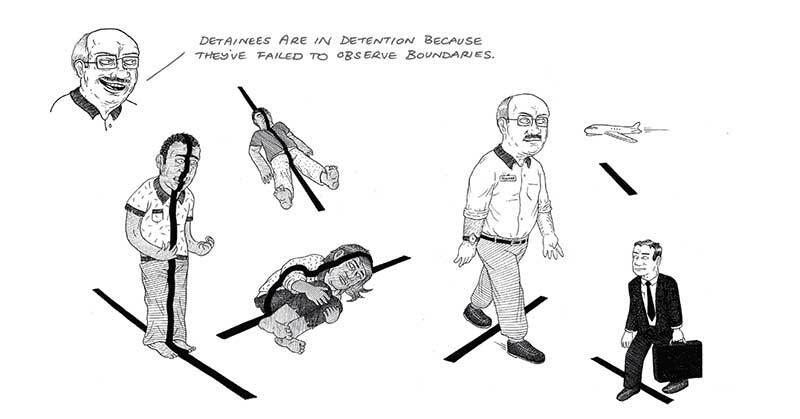 Undocumented: The Architecture of Migrant Detention (Ad Astra Comix, 2017) is an experimental visual text that combines comics, architectural hand drawings, diagrams, sketches, and interviews to take readers inside the hidden spaces of migrant detention in Canada. A book trailer is posted at the crowdfunding site for the special edition. Kate Evans is a British cartoonist known for her educational health comics and her graphic biography of Rosa Luxemburg, Red Rosa(Verso, 2015). Recently, her work has focused on her experiences volunteering in French migrant detention camps. 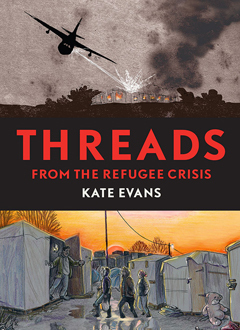 Threads from the Refugee Crisis (Verso, 2017)started as Evans’s first-person comics “eyewitness reportage” blog about her time volunteering in the French migrant detention camps at Calais and Dunkirk. The original blog posts can be accessed here: http://www.cartoonkate.co.uk/threads-from-the-refugee-crisis/. Verso published an augmented version of the blog posts in a hardcover print book that combines memoir with comics journalism, and draws individual testimonies alongside the anti-migrant backlash. Sarah Glidden is a New York-based cartoonistwhose recent comics journalism focuses on her travels in the Middle East. 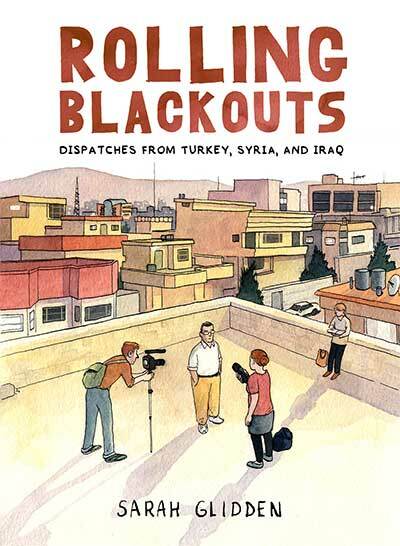 In the critically acclaimed Rolling Blackouts: Dispatches from Turkey, Syria, and Iraq (Drawn & Quarterly, 2016), Sarah Glidden travels through Turkey, Syria, and Iraq with a former marine and two reporters to understand the effects of the Iraq War by talking to refugees and others. Glidden traveled the region for two months in 2010, and the book combines memoir and comics journalism with individual testimonies and a broader interrogation of how the media represents the region and its displaced people. Jake Halpern (writer) and Mike Sloan (illustrator) collaborated on the Pulitzer Prize-winning online serial comic for The New York Times, “Welcome to the New World” (2017). 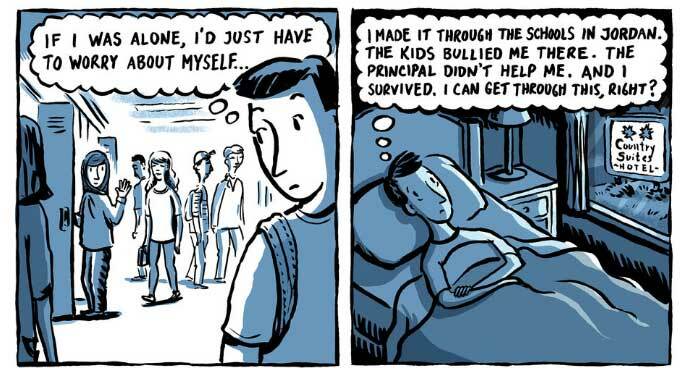 The first fully reported, serially published comic to appear in the Times, this twenty-part comic appeared over ten months and depicts everyday life for Syrian refugees in the US. 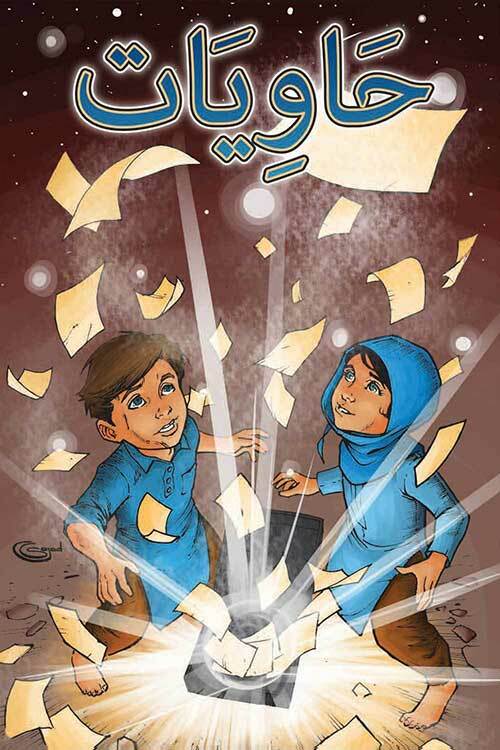 The comics are based on interviews with refugees, translators, sponsors, police, and others in contact with the families. Matt Huynh is an Australian-born, New York-based visual artist and storyteller. His brush and ink paintings are informed by poetic Eastern sumi-e ink traditions and popular contemporary Western comic books. His animation, paintings and comics interrogate war, diaspora, refugees, asylum seekers and migrant communities. The Boat is a multiple award-winning interactive graphic narrative based on the acclaimed short story by Australian writer Nam Le. It combines brushwork, animation, text, sound, and archive to tell the story of 16-year-old Mai, whose parents send her alone on a boat after the Fall of Saigon. The project was launched in recognition of the 40th anniversary of the fall of Saigon and 40 years of Vietnamese resettlement in Australia. Ma tells that the story of a young married couple displaced from their homeland by the Vietnam War and trying to raise two boys in Malaysia’s refugee camps. Reinhard Kleist is a German cartoonist based in Berlin. His graphic biographies published in English by SelfMadeHero include: Johnny Cash: I See a Darkness(2006), The Boxer: The True Story of Holocaust Survivor Harry Haft (2012), and Nick Cave: Mercy On Me (2017). 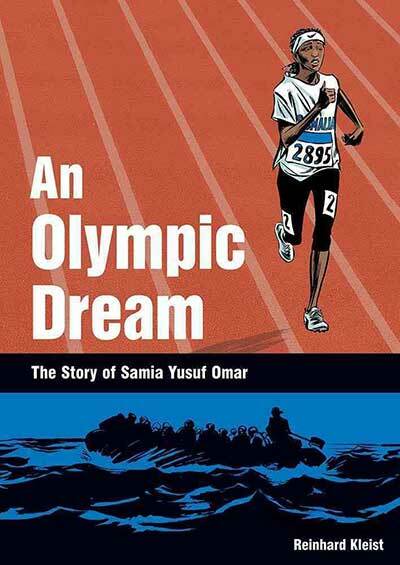 An Olympic Dream: The Story of Samia Yusuf Omar (SelfMadeHero, 2016) tells the story of Samia Yusuf Omar, a talented young Somalian runner who competed in the 2008 Beijing Olympics and was determined to return to the 2012 London Olympics. Omar turned to human smugglers to help her get to Italy for training. She was imprisoned in Libya, then drowned in the Mediterranean on her way to Italy. Kleist worked with Somalian refugees who survived the journey to fill in gaps in Omar’s story. Joe Sacco is perhaps the best known of the cartoonists in this Spotlight. His 2001 collection Palestine established some of the recurring themes and images of migrant and refugee comics. His more recent collection, Journalism (Metropolitan, 2012), includes short comics about displaced peoples and conflict zones. 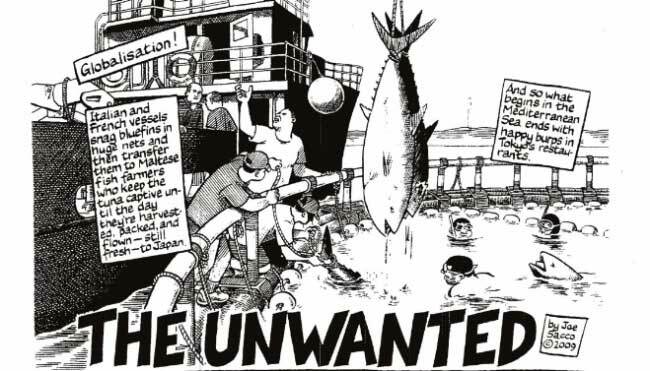 “The Unwanted” travels to Sacco’s birthplace of Malta to tell the story of this small island’s combined logistical difficulties and political reluctance to deal with the influx of African migrants arriving by boat. Riad Sattouf is an award-winning Franco-Syrian cartoonist based in Paris who worked for the satirical weekly Charlie Hebdo from 2004-2104. 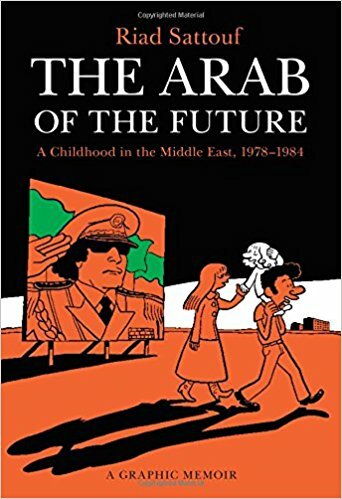 The Arab of the Future: A Childhood in the Middle East (1978-1984) (Metropolitan, 2015) and The Arab of the Future 2: A Childhood in the Middle East (1984-1985) (Metropolitan, 2016) tell his story of growing up in growing up in rural France, Gaddafi’s Libya, and Assad’s Syria in the late 1970s-1980s. Told from a child’s point-of-view, both volumes oscillate between day-to-day life and larger issues of identity, religion, family, and displacement. Sam Wallman is a comics journalist, political cartoonist and editor based in Melbourne, Australia. At Work Inside Our Detention Centres: A Guard’s Story (The Global Mail, 2015) started as a webcomic called Serco; this online comic (shared over 50,000 times on Facebook) shows what life is like inside a private security-run migrant detention centre from the point-of-view of an ex-guard. Brick by Brick: Is This Really Europe? (SBS Australia)—subtitled “A Comic from Eastern Europe’s Border Camps,” this online comic depicts Wallman’s experiences visiting migrant camps in Eastern Europe. This Australian group provides art workshops for asylum seekers and refugees in the Villawood Immigration Detention Centre in Sydney and has visited other centres around the country. The artworks are then curated and shown in public exhibitions, online and in self-published zines: https://www.facebook.com/TheRefugeeArtProject/. The founder, Safdar Ahmed, also created two award-winning comics about his visits to Villawood. : Villawood: Notes from an Immigration Detention Centre (The Shipping News, 2015) and Belonging Post-Villawood (The Medium, 2015). Last but not least, a number of organizations are commissioning and distributing comics to children in migrant and refugee camps, including the two below. Prepared with the research assistance of Max Bledstein (University of Winnipeg MA in Cultural Studies, 2017). Candida Rifkind is an Associate Professor in the Department of English at the University of Winnipeg, Canada, and First Vice President of the Comics Studies Society. She specializes in comics and graphic narratives, life writing, and Canadian literature and culture.